In part due to the recent Yanomami controversy, which has rocked anthropology to its very core, there is renewed interest in the discipline's history and intellectual roots, especially amongst anthropologists themselves. The cutting edge of anthropological research today is a product of earlier questions and answers, previous ambitions, preoccupations and adventures, stretching back one hundred years or more. This book is the first comprehensive history of American anthropology. 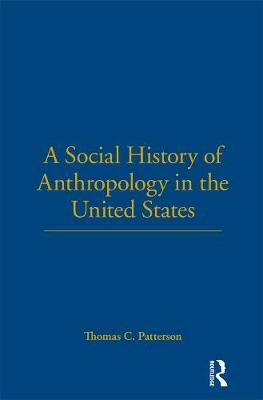 Crucially, Patterson relates the development of anthropology in the United States to wider historical currents in society. American anthropologists over the years have worked through shifting social and economic conditions, changes in institutional organization, developing class structures, world politics, and conflicts both at home and abroad. How has anthropology been linked to colonial, commercial and territorial expansion in the States? How have the changing forms of race, power, ethnic identity and politics shaped the questions anthropologists ask, both past and present? Anthropology as a discipline has always developed in a close relationship with other social sciences,but this relationship has rarely been scrutinized. This book details and explains the complex interplay of forces and conditions that have made anthropology in America what it is today. Furthermore, it explores how anthropologists themselves have contributed and propagated powerful images and ideas about the different cultures and societies that make up our world.This book will be essential reading for anyone interested inunderstanding the roots and reasons behind American anthropology at the turn of the twenty-first century. Intellectual historians, social scientists, and anyone intrigued by the growth and development of institutional politics and practices should read this book.